Description Throw 'em in the brig! 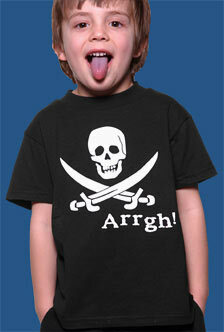 Or better yet, get those little ruffians into a shirt that'll warn all those unsuspecting landlubbers. 100% Black Cotton.